On April 24th, 2015 a Nationwide Nurse-In took place across the USA. This was the first organized event in history, orchestrated by Laura Delmonico. The purpose of this event, "Nationwide Nurse-In" is intended to bring attention to public breastfeeding laws to end breastfeeding discrimination. Laura, along with a couple other breastfeeding advocates including Jill DeLorenzo and the amazing Vanessa Simmons of NormalizeBreastfeeding.org have all been busy helping not only normalize breastfeeding but assist in improving breastfeeding laws and regulations. This year may have been the first, but it certainly won't be the last. There is a Facebook event page where you can find a group corresponding to your state and keep track of the plans for the 2016 Nationwide Nurse-In. 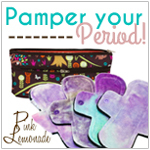 Please join the Facebook group- Nationwide Nurse-In (Private Group) to learn more about what you can do to help in this cause! 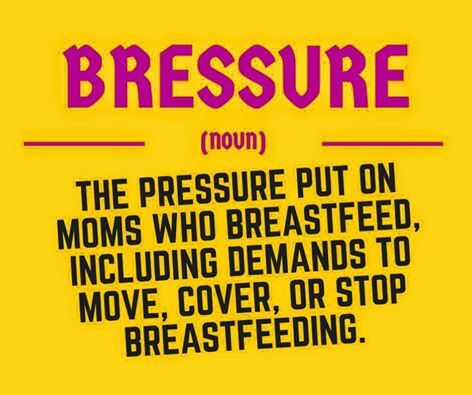 Vanessa says in the press release, "Now more than ever, breastfeeding is socially unacceptable in the United States. Daily, mothers are being asked to cover up and leave business establishments regardless of the laws in place." 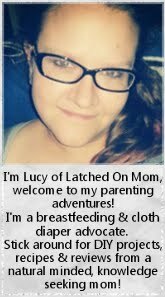 I was so happy when Laura asked members to share their photos and videos of their nurslings and bottle-nursed babies, I jumped right in to take part! The video is called Under Bressure, and in case you're wondering what the heck that means, Jill made a little graphic that gives the definition! My sweet little Karebear is shown in the video montage kicking her foot while drinking some boobie juice! Check the 30 second mark! Isn't she the cutest??? The admins of the Nationwide Nurse-In group also put together a challenge for us! 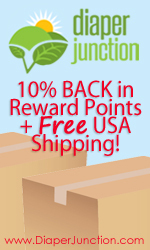 Click HERE to go to photo to leave your comments! 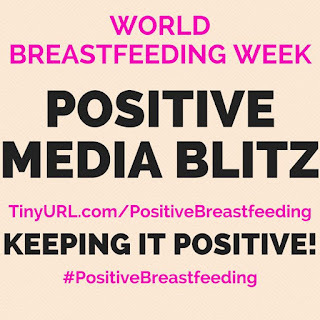 World Breastfeeding Week Positive Media Blitz is an extension of the nurse-in and is scheduled for August 1st 2015, world-wide. 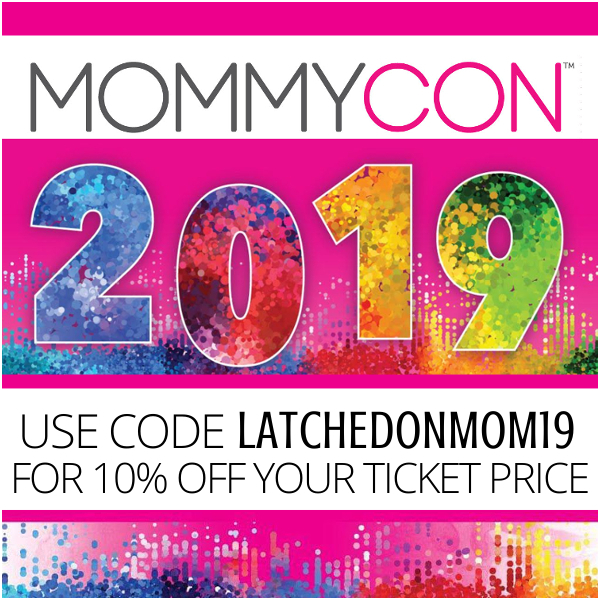 I asked Jill to give me a little more information about what this event means to her and why she started it, she replied, "I have been getting increasingly frustrated by how breastfeeding women are being portrayed by various media outlets. Recent stories have claimed that breastfeeding photos are "TMI" and that we should move or cover up in public. These portrayals are not acceptable to us, especially when they are so inconsistent with reality. Mothers are never out to get attention; they seek to feed their children and empower other women. 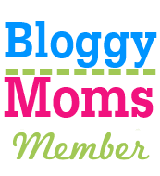 Motherhood is the most selfless job. The laws in 49 states and DC protect a mother's right to nurse anywhere she is legally present. Facebook and Instagram policies protect people's rights to post breastfeeding photos. Every major health organization supports breastfeeding. Why is the media giving breastfeeding such a harsh treatment? 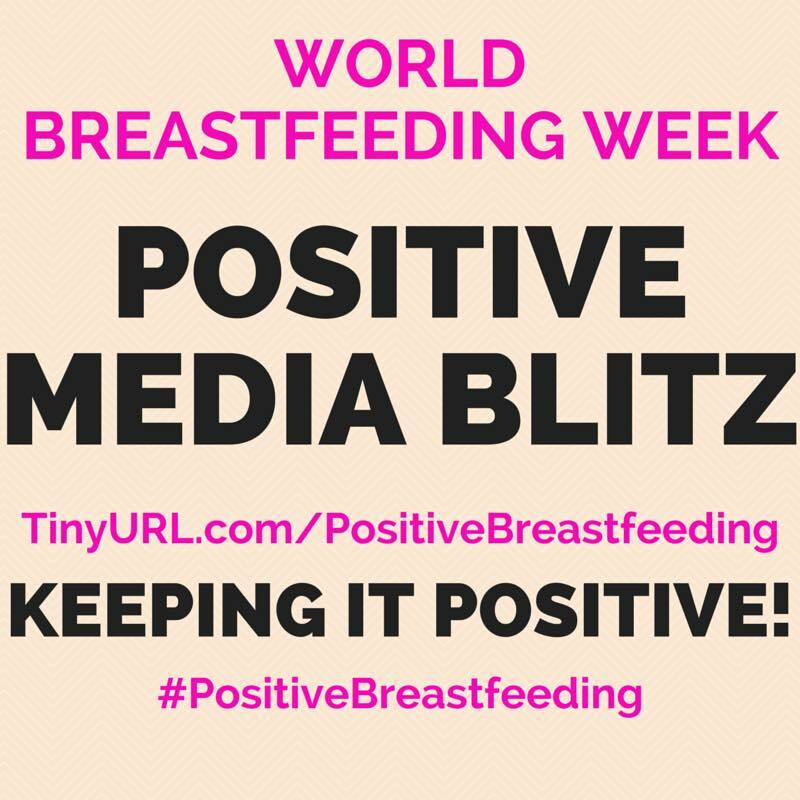 I launched the World Breastfeeding Week Positive Media Blitz after an important realization: that news outlets are businesses. They don't necessarily care about doing what is right. They care about selling copies or getting clicks and likes. They cover sensational stories. Saying horrible things about breastfeeding must be earning them a profit. Therefore, we are rallying around the planned celebration of World Breastfeeding Week to show the media that pro-breastfeeding news is popular, too. Not only is positive news desperately needed, it is bound to go viral just as easily as the negative news." I'm glad to help support both of these events and encourage everyone to join in and help make a difference! 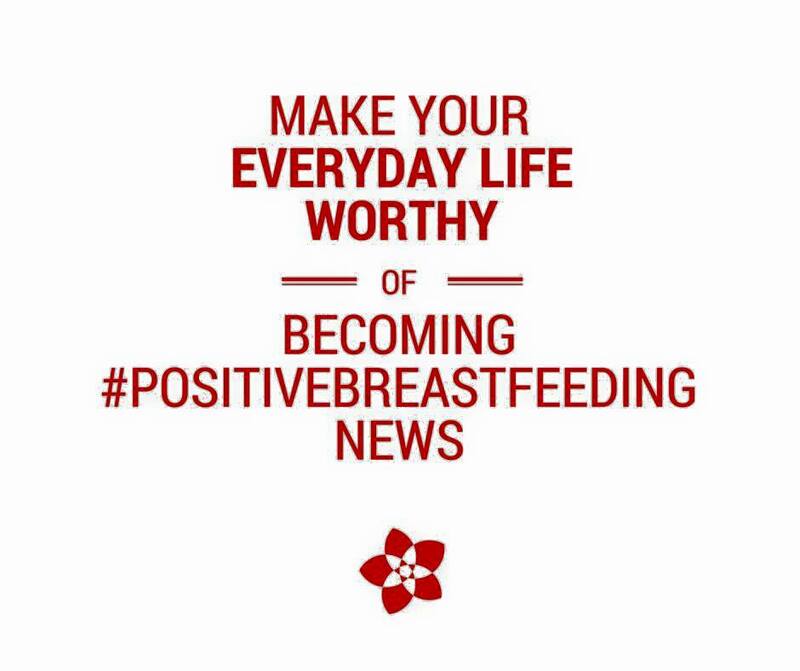 Share this graphic on all your social networking platforms and include the link tinyURL.com/PositiveBreastfeeding & #PositiveBreastfeeding when posting! Something similar happened in Hamilton, Ontario after a local mom was asked to leave the food court by security for breastfeeding. It was in the paper and on Facebook- the next day many moms went to the same food court to feed in support of the other mom.